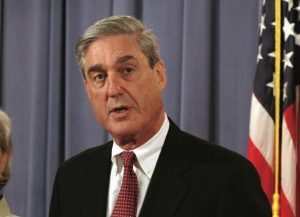 Robert S. Mueller III’s report concludes that President Trump nor any of his aides conspired or coordinated with the Russian government’s 2016 election interference, according to a summary of the special counsel’s key findings made public on Sunday by Attorney General William P. Barr, the New York Times reports. “[T]he investigation did not establish that members of the Trump Campaign conspired or coordinated with the Russian government in its election interference activities,” Barr’s letter stated. But Barr said Mueller’s team drew no conclusions on whether Trump illegally obstructed justice. The response inside the Beltway was predictable. Republican leaders said Sunday that the report exonerated Trump and it was time to move on. Some Democratic leaders, despite the report, said it was clear the Trump campaign was involved in collusion with the Russians and the president obstructed justice during the investigation. Posted: 3/24/19 at 5:45 PM under News Story.